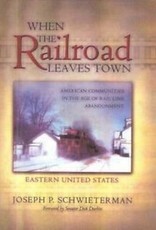 This volume tells of closing rail lines from historic junctions, aging industrial centers, agricultural villages, and familiar tourist destinations throughout the eastern half of the United States. 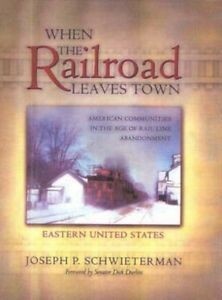 Joseph Schwieterman takes a look at events that contributed to the demise of railroads in 64 towns and cities distinguished by their notable railroad histories or unusual experiences with rail line abandonment. Rail line abandonment claimed more than half of U.S. rail route mileage during the past 50 years and is accompanied by controversial and unexpected developments--events affecting communities years after the last train departed. This book is a concise narrative, with contrasting photos of local train stations in their prime and after abandonment.